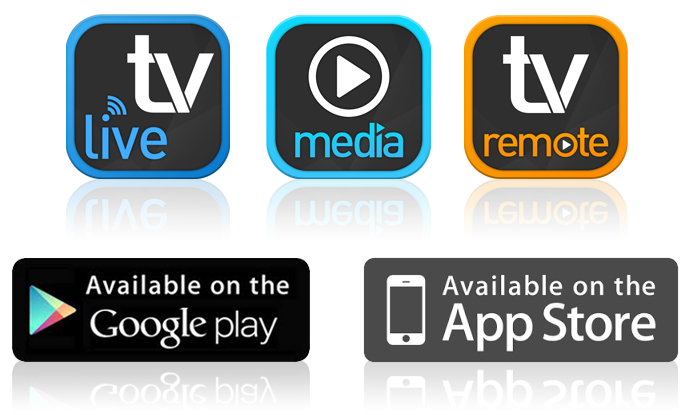 Watch Live TV on your smartphone or tablet. HUMAX Live TV app allows you to view live TV from anywhere in your home network and schedule a reminder, recording or series recording wherever you are. 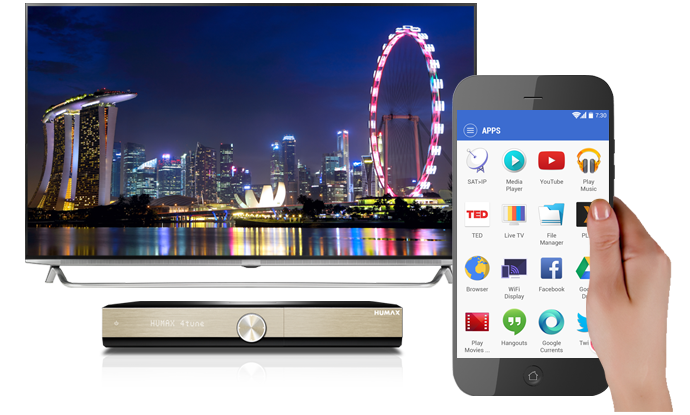 Access media contents stored in home networking devices and HUMAX 4tune on Media Player App. 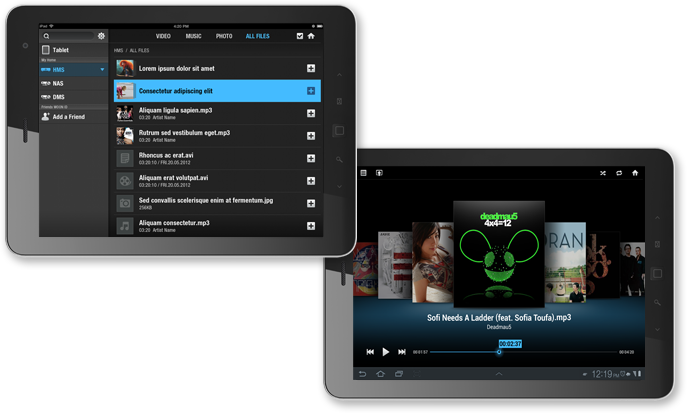 Control your 4tune using your mobile device from anywhere in your home. Open the virtual keyboard for full browser. 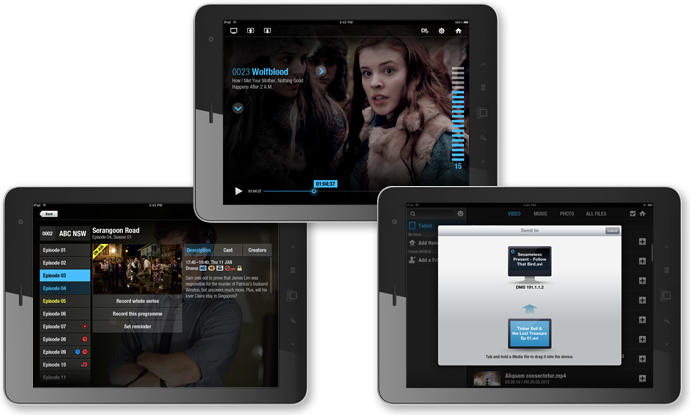 HUMAX apps are available on both iOS and Android devices. If you have other apps which is DMP enabled, you can watch live channels through them.